When we reflect on our lives, we may believe that the things that happen to us are part of our destiny. It is important not to let ourselves be boxed in by the concept of destiny and to be open to new experiences. It is true that we may be drawn to certain people and situations that are destined to be part of our lives. These quotes will help you move toward a better life. 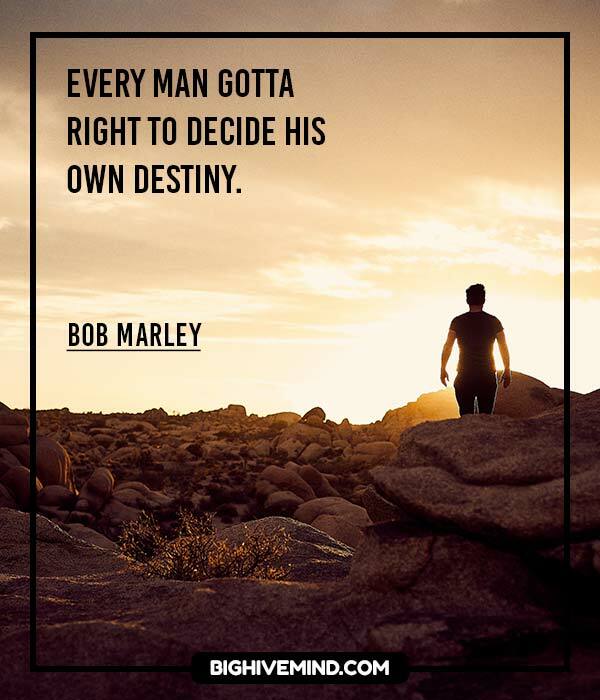 Exploring these thoughtful quotes will help you to know whether you are fulfilling your destiny and whether you are on the right path to a healthy, successful life. The man is asked to make of himself what he is supposed to become to fulfill his destiny. Destiny waits alike for the free man, as well as for him enslaved by another’s might. Do not compare yourself to others. You have a unique destiny and mission that only you can accomplish. There are winds of destiny that blow when we least expect them. Sometimes they gust with the fury of a hurricane, sometimes they barely fan one’s cheek. But the winds cannot be denied, bringing as they often do a future that is impossible to ignore. Our destiny changes with our thought, we shall become what we wish to become, do what we wish to d,o when our habitual thought corresponds with our desire. 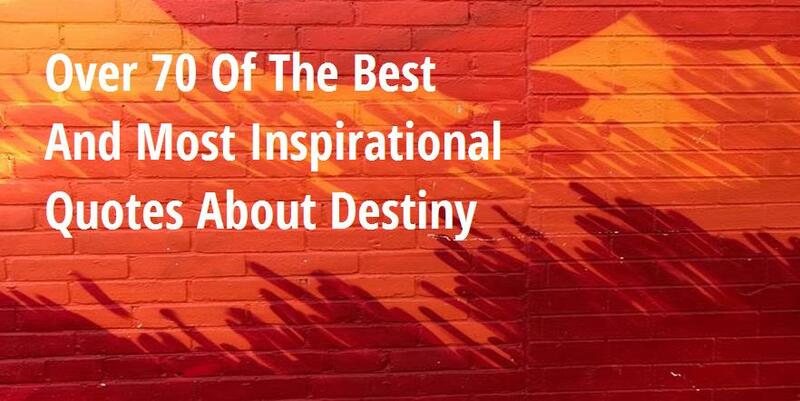 It’s choice – not chance – that determines your destiny. 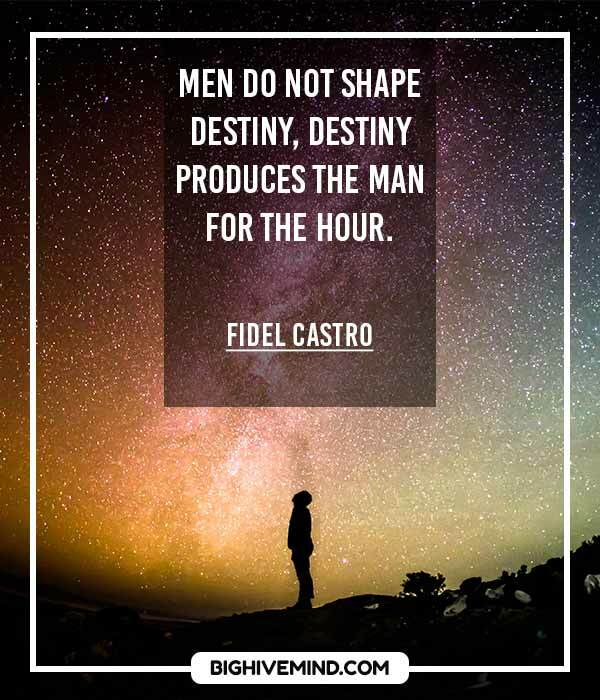 Each man carries his destiny in his own hands. Out of our beliefs are born deeds; out of our deeds we form habits; out of our habits grows our character; and on our character we build our destiny. I seldom end up where I wanted to go, but almost always end up where I need to be. Other people and their opinions hold no power in defining our destiny. Every man has his own destiny: the only imperative is to follow it, to accept it no matter where it leads him. I think that by going on the path that I am, my destiny will just come to me. Your destiny is to fulfill those things upon which you focus most intently. So choose to keep your focus on that which is truly magnificent, beautiful, uplifting and joyful. Your life is always moving toward something. The two most important days in your life are the day you are born, and they day you find out why. I do believe that one way to have a destiny is to choose one. We can’t become anything we want to be. We come into this world with a specific, personal destiny. We have a job to do, a calling to enact, a self to become. We are who are from the cradle, and we’re stuck with it. Our job in this lifetime is not to shape ourselves into some ideal we imagine we ought to be, but to find out who we already are and become it. If we are born to paint, it’s our job to become a painter. If we are born to raise and nurture children, it’s our job to become a mother. If we were born to overthrow the order of ignorance and injustice in the world, it’s our job to realize it and get down to business. I am comfortable at the height where destiny has put me. I’m a believer in fate and in fulfilling your destiny. I’ve always had a kind of inner voice that I have learned to listen to. You will never fulfill your destiny doing work you despise. I am master of my own destiny, and I can make my life anything that I wish it to be. One often meets their destiny on their way to somewhere else. Fame comes only when deserved, and then is as inevitable as destiny for it is destiny. Life really is generous to those who pursue their destiny. Our problems are man-made; therefore, they may be solved by man. And man can be as big as he wants. No problem of human destiny is beyond human beings. Everywhere man blames nature and fate, yet his fate is mostly but the echo of his character and passions, his mistakes and weaknesses. Watch your thoughts for they become words. Watch your words for they become actions. Watch your actions for they become habits. Watch your habits for they become your character. And watch your character for it becomes your destiny. What we think, we become. My father always said that… and I think I am fine. 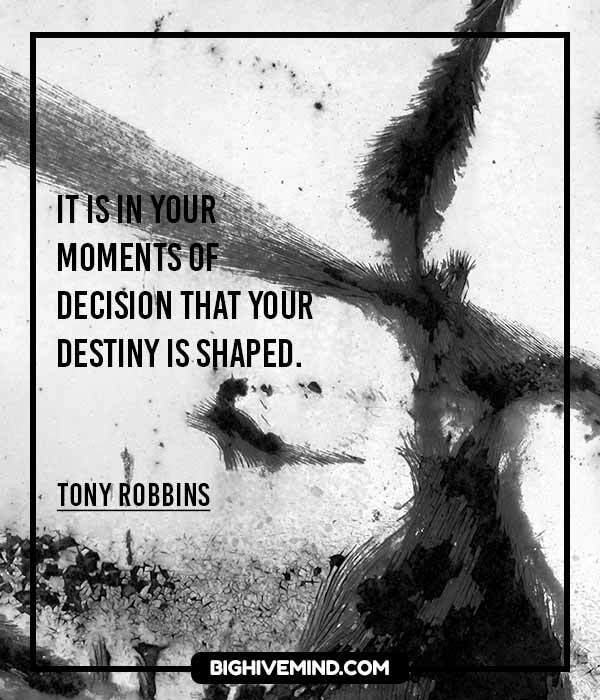 We determine our destiny by the actions we take today. I believe that you control your destiny, that you can be what you want to be. You can also stop and say, ‘No, I won’t do it, I won’t behave this way anymore. I’m lonely and I need people around me, maybe I have to change my methods of behaving,’ and then you do it. 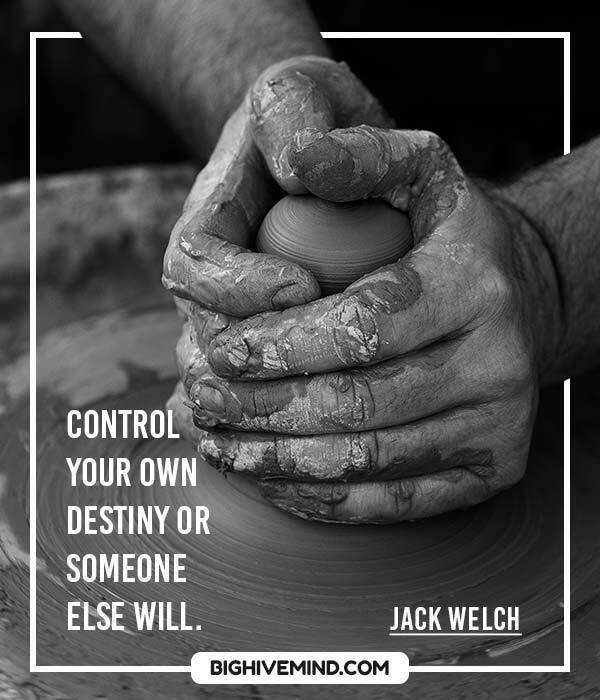 You are the master of your own destiny. Use your strengths well. They are the keys to your destiny and your success in life. Once you know yourself and take action to realize your dreams, you can unlock the doors to your own potential. Destiny has two ways of crushing us – by refusing our wishes and by fulfilling them. Every people should be originators of their own destiny. Serendipity. Look for something, find something else, and realize that what you’ve found is more suited to your needs than what you thought you were looking for. It’s destiny! Perhaps it is the energy that pulls on the threads and, well, I’m just leaving it as it is meant to be. You are the master or your destiny. You can influence, direct and control your own environment. You can make your life what you want it to be. We must regain the confidence and drive to decide our own destiny. Sometimes, perhaps, we are allowed to get lost that we may find the right person to ask directions of. Sow an act and you reap a habit, sow a habit and you reap a character. Sow a character and you reap a destiny. f you create an act, you create a habit and if you create a habit, you create a character. If you create a character, you create a destiny. I have always felt it is my destiny to build a machine that would allow man to fly. If we would see the color of our future, we must look for it in our present; if we would gaze on the star of our destiny, we must look for it in our hearts.